angle-left Column: What does it take to build a EU strategy for long-term emissions reduction? Column: What does it take to build a EU strategy for long-term emissions reduction? Restricting global warming is crucial to humanity’s future. There will be no easy transition to a low-emission world, or eventually to a carbon neutral world, and we must make changes in all spheres of life. The European Union has an important role as one who takes the lead and offers solutions. To do this, it needs an ambitious and comprehensive climate and energy policy that is based on knowledge. We in Finland must play our own part, but we also have an opportunity to help bring about sustainable solutions. More so, when Finland takes the Presidency of the Council of the European Union in July next year, and already as of January as part of the trio formed by the next three presidencies. A recent report by the Intergovernmental Panel on Climate Change (IPCC) highlights the need to restrict global warming to 1.5°C and the urgency of accelerating our efforts. In an optimal situation, we could turn the tide of global greenhouse gas emissions already in a few years’ time. However, is it possible, and what does it take to achieve it? The EU is doing its part to find an answer to this major question. The EU has a tradition of ambitious climate goals. Its long-term goal has been to cut emissions by 80–95% from the 1990 level by 2050. The emissions reduction goal for 2030 is at least 40%. The EU has revised its legislation in a number of areas; including the emissions trading system, non-emissions trading sectors and land use (LULUCF). Add to this the recent agreements on the Energy Efficiency Directive and the Renewable Energy Directive and you get an emissions reduction of around 45% by 2030. This shows that the EU is swiftly moving forward. What next? Naturally, it is important to implement the new legislation efficiently. We should find a comprehensive and feasible way to move towards long-term carbon neutrality. The European Commission’s response is its forthcoming Communication on a strategy for long-term EU greenhouse gas emissions reduction in accordance with the Paris Agreement. The long-term strategy (LTS) communication, due later this month, will not list any numeric reduction goals, but it will state the aim to achieve decarbonisation in the EU by 2050. Its most valuable contribution will be the meticulous analyses laying the groundwork for potential emissions reductions in a number of sectors. The energy sector, for example, can be made nearly carbon neutral eventually, while agriculture will always generate some emissions. For that and many other reasons, it is absolutely necessary to maintain and grow forests and soil as carbon sinks. While the Commission is working on the LTS, the Member States are obligated as part of the Energy Union Governance to develop their integrated national energy and climate plans for 2030. These plans will help reach the EU’s ambitious climate goals. The draft plans should be completed this year, and the final plans by the end of 2019. Next year, each Member State will also have to develop its own national long-term strategy (“national LTS”) for 2050, presenting their outlook for trends in greenhouse gas emissions and carbon sinks by mid-century. Finland’s existing National Energy and Climate Strategy to 2030 is a good foundation for the integrated national energy and climate plan. We will aim to increase the share of renewable energy in final energy consumption, halve the use of fossil oil, and phase out coal for energy production. We have outlined most of the necessary measures, and some are already being implemented. We have already submitted our draft plan for regional consultation, and the finalised draft will be submitted to Commission in December. We have started the groundwork for our national LTS, and this joint government project will be completed in January. 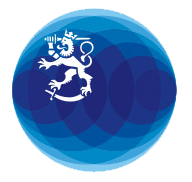 The work includes updated evaluations by the Natural Resources Institute Finland regarding forest growth and carbon sinks as well as emissions reduction scenarios produced by VTT Technical Research Centre of Finland. We will submit the national LTS to the Commission next year, although the exact timetable is yet to be confirmed at national level. In Finland, the drafting process includes parliamentary consultation. The EU’s deadline for the national strategies is 1 January 2020. The work does not end there, and a more comprehensive, long-term policy plan under Finland’s Climate Change Act will be on the agenda of the next government, appointed after the parliamentary elections in April 2019. All the work for these strategies and policy plans must be well coordinated, of course, and the Ministry of Economic Affairs and Employment will bear the main responsibility for the coordination. The Commission will soon submit its Communication where it will explains its thoughts and analyses regarding the LTS. Next, the EU will determine how it will process the strategy. A comprehensive exchange of views, involving all EU institutions and the different configurations of the Council, is important. The LTS concerns a number of different council configurations, from environment and energy to competitiveness, transport and agriculture, among others. It is also important for economic affairs and foreign affairs. This discussion will need to start already in the first part of 2019 during the Romanian Presidency of the Council of the EU. Finland’s Presidency in autumn 2019 should be a time for gathering up the threads, specify the EU’s emissions reduction targets and, perhaps most importantly, outline emissions reduction measures that are cost-effective and efficient in the long term. In any case, the EU’s emissions reduction targets must be updated no later than 2020 in preparation for the next international climate change talks. Long-term, predictable measures are the key to encouraging investments that pave the way to a low-carbon society. It is important that the Finnish Government and the EU have the means to control future developments, while private sector operators will be carrying out most of the necessary material and immaterial investments. A number one priority is to find the means to achieve reduction in emissions even elsewhere in the world. Key tools include the development and deployment of affordable low-carbon technologies, redirecting the international financial system towards low-carbon investments and, most importantly, close cooperation. Developing countries should focus on low-carbon systemic and infrastructure solutions, among others. A particular challenge is to get the international system of trade to recognise and acknowledge the significance of a low-carbon economy, for example, through the pricing of goods on the basis of their carbon content. Short-term effects on the international distribution of income are an evident problem. It seems to me that a systematic change is needed to save our climate; otherwise, there will be only losers in this world. Riku Huttunen is Director General of the Energy Department at the Ministry of Economic Affairs and Employment.